Today, we’re going to look at whether or not making the decision to DIY or hire someone for your website makes the most sense for you. So you’re ready to create a website – what should you do next? When should you save your pennies up and hire out? Are you adventurous and love to learn? Not too afraid of technology? When you’re starting out money is usually an issue and most bootstrapping business owners think that choosing to go DIY (Do it Yourself) is often the best option to getting something done, but is it really? I’ll share where I think you should invest your money and maybe where you can stay lean for now. This isn’t about telling you which way you need to go, each of us has different skill levels and each of have different levels of patience to get things dones. Choosing what is right for you and your business is an important skill set as a new entrepreneur. Let’s set the scene, you’ve decided to launch a business…. You know you need a website, but there’s so many choices and well it’s so overwhelming. Incredibly confusing in fact. So much to figure out and understanding all of the technical terms is just too much. Maybe you’ve found a few websites that offers design or development services for websites but you either can’t figure out how much it’s going to cost or their pricing is way out of your price range right now. You’ve seen these ads for creating your own website, it’s easy, super simple in fact! But then you go back to all that technical stuff and all the choices – so overwhelming – too many decisions! While I strongly believe that you should hire a professional to help you create your website, sometimes this just isn’t possible. Don’t let the idea of needing to hire a professional stop you from getting your starter website launched. If you’re someone who can’t be bothered with details, you don’t want to know nor do you have any desire to learn all of those crazy bits of technology or technical steps to get your website launched. You’re a great candidate to hire someone. Money saving option: If you think you’ll be fine with getting your content done and learning how to use a content management system like WordPress. Try hiring someone who can get the structure of your website launched. You can often find someone who will help you setup your web hosting, show you where and how to buy your domain and help you even choose a basic theme to get started. As part of the package they’ll get it all set up for you so you can login and start adding your content. 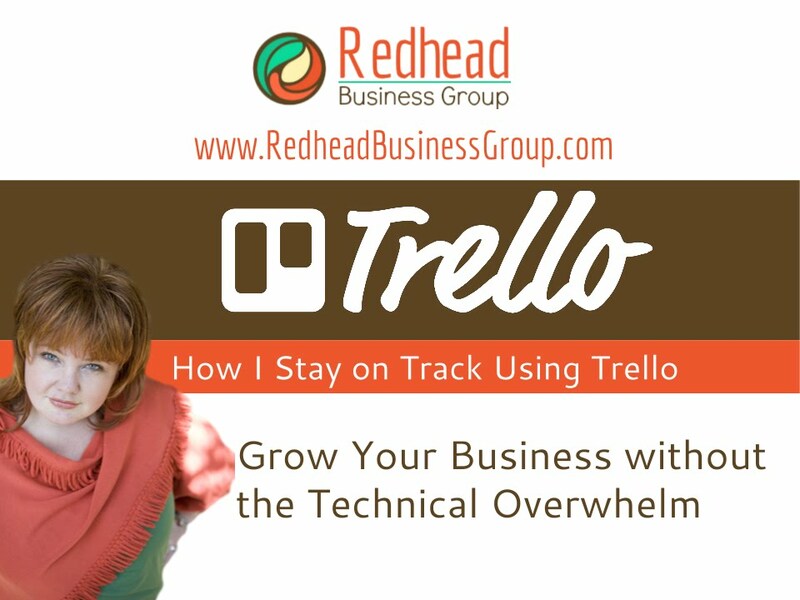 This option is a great way to get some of the technical parts out of the way and help you jump over the technical overwhelm. I have worked with many clients that all they really needed was to have a presence online. A place to send potential clients that gives the basics of what they do and how a client can work with them. These starter websites are usually a single page, kept clean and simple and when you’re ready to invest your time and money you can build on what you already have. Then creating your starter website might make sense. My word of caution: While it seems tempting to use a free service, I’d recommend not using them. Yes they can be easy to use, but often you’ll find yourself outgrowing your service very quickly and you’ll not be able to expand on your services or offerings without the need to upgrade which is usually more costly AND still limiting in what you can do. Using a free service often ties you into using their templates and you don’t have complete control over your content on the site. Choose a service that gives you the opportunity to grow and scale as you need. Invest the few dollars to get a self-hosted version of WordPress which can be used to create a starter website and then redesigned and scaled as you and your business grow. While the idea of doing your website yourself seems on the surface like a great idea think of how much it’s actually costing you in terms of making money. Finding a professional to help you create a starter website will free up your time to focus on connecting with potential clients and will help you earn money faster so you can build and expand your business. Consider this: To develop your website by yourself, you’re taking time away from other tasks you could be doing to acquire and work with your own clients. If creating your website takes you 20 hours (probably much longer if you’re a complete beginner) that’s 20 hours that you could have been using to work with (and invoice) clients. How much do you make per hour? Multiply that by 20…that’s how much you’ve lost by developing your own website. Yes, “Free” sounds tempting but in the long run it’s costing you money. Bootstrapping and saving money is a fantastic idea, but cutting corners and pinching pennies on your website isn’t necessarily the best place to do it. Your website is your potential client’s first impression of you and your brand. Would you rather show your personality off in a website that is unique like you, or do you want your first impression to be ordinary and generic? I’m guessing you’d prefer the first. Your brand isn’t like anyone else’s, so why should your website be a carbon copy? You deserve to be an original.